Well, I went to see "Hail, Caesar" last evening... and, while I don't think it deserved a C- Cinemascore, I would recommend you wait until it starts streaming on demand if you feel the need to watch it. The biggest problem was that there was too much George Clooney thinking he's being funny and really just being boring... really, really boring. Even though his story line sets up the movie, you don't care for it... at all. The Channing Tatum dance number used extensively in all of the trailers doesn't happen until halfway through the 3rd act, in fact, you don't even meet his character until then. 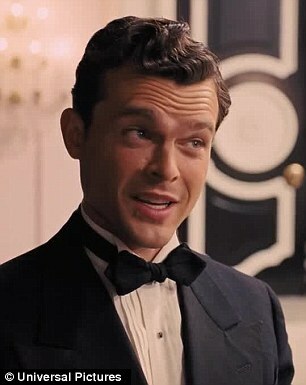 The only story line to have any interest is that of Hobie Doyle, the singing cowboy played by Alden Ehrenreich, who suddenly finds himself cast as a suave, debonair lead. His scenes are not only funny, you like him as a person. If the Coen's had relied far less on Clooney and scaled up the Hobie Doyle story they probably would have had a much better movie, one that was funny all the way through, rather then just here and there, but they're friends with George, and they probably think he's hysterical. He isn't. I just don't think Clooney can do funny; he's funny when surrounded by funny people, but on his own? Not so much. Holy Crap, every time he was on screen it was like nap time.